SEATTLE – Never before had my inbox been so full. Never before had my Twitter feed been so jammed. I saw Richard Sherman blasting coaches. I saw Michael Bennett belittling reporters. I saw Earl Thomas dismissing the Patriots because of their schedule and Jeremy Lane blowing up linemen in victory formation. So I published the piece and braced myself for an avalanche of feedback, which came almost immediately. The plot twist? Apparently bad antics can alienate the 12s. Apparently big egos do rankle fan bases. But nearly two years later, I imagine such a column would incur only wrath. 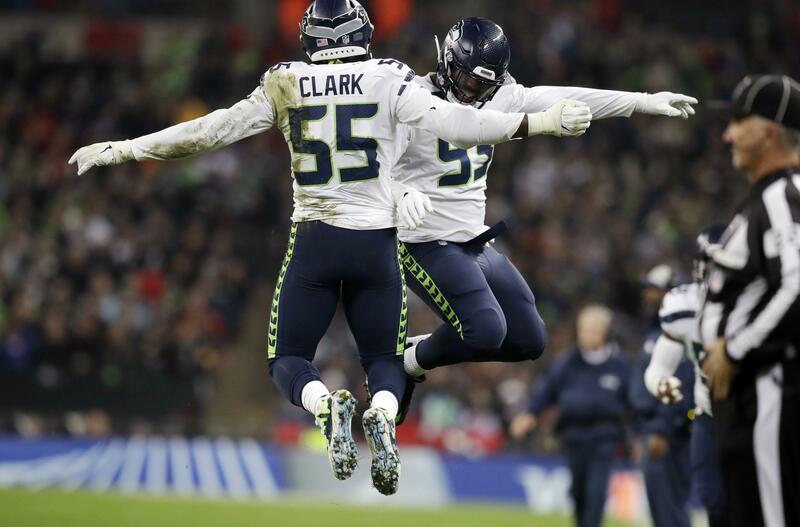 The Seahawks, after all, have become one of the more endearing teams in the league. It’s hard to think of the most successful NFC franchise of the decade as underdogs, but that’s exactly what Seattle was at the start of the year. After a flood of departures – be it trades, releases or retirements – the list of legends still wearing green and blue could fit onto a Post-it note. Vegas placed the Seahawks’ Super Bowl odds just north of the Browns before Week 1, and few local media had them finishing above .500. Now, they’re almost assured a playoff spot after winning eight of their last 11. But it’s not just the shocking rise that has lassoed fans back in. It’s the personalities highlighting this overhauled roster. The Seahawks of old were the brashest team in the NFL. The Seahawks of today? They’re the most fun. Despite the fact that my mom texts me “woo hoo!” every time a Seattle squad wins, I have no rooting interest in any of the local teams. But I do want to see Russell Wilson throw a touchdown pass just to see the receivers’ celebrations. I can’t imagine there’s another team in football that would have four celebrations ready to go, as the Seahawks did vs. the 49ers two Sundays ago. And from the Allen Iverson ankle-breaker to the mound-charging baseball skit, I can’t imagine any are as creative. But you also have one-handed linebacker Shaquem Griffin, who joined his twin brother, Shaquill, in the most heart-warming moment of the draft. If you’re not smiling while he’s interacting with limb-different children, you’re probably planning to rob Whoville. You have rookie punter Michael Dickson, who’s bombing 66-yard kicks one second and scrambling 9 yards for a first down the next. Anyone nicknamed “Big Balls” eight weeks into his pro career is probably worth pulling for. You have Bobby Wagner, who’s one of the most approachable stars in the league. You have K.J. Wright, who’s raising money to build wells in Kenya. You have Wilson, who may bore us at the podium but still visits Seattle Children’s every Tuesday. I’m not saying everyone on this roster is an angel. I’m not saying there aren’t players who have made decisions that may permanently stain their reputations. And I’m not saying there won’t be an incident in the next few weeks that could dramatically shift the perception of this football team. Anyone who’s covered professional sports knows that a scandal or a falling out could emerge at any time. For now, though, the Seahawks’ vibe is a good one. The hunger seems high, the ego seems low, and the future seems bright. Rest assured fans are having fun watching them, too. Teams playing with this much joy usually get juice boxes after a game. If you’re a sports fan raised in Seattle, it’s in your DNA to love the Seahawks. But it’s always a plus when you can like them, too. Published: Dec. 14, 2018, 1:06 p.m. Updated: Dec. 14, 2018, 5:54 p.m.